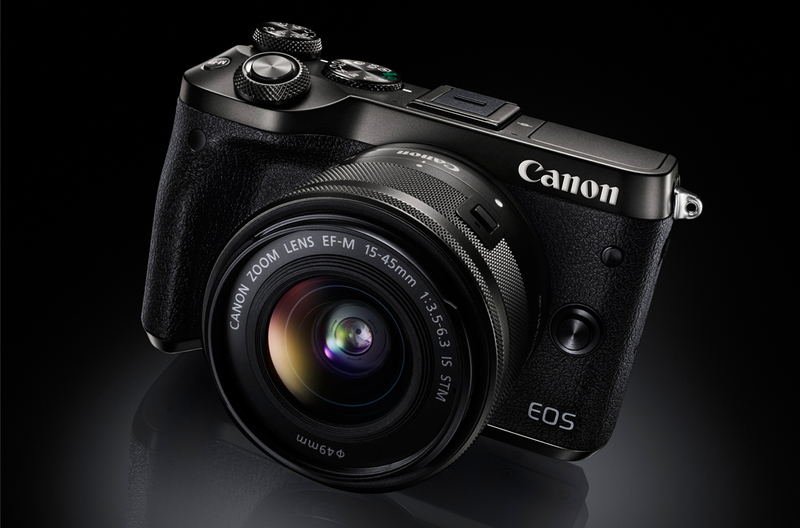 Canon’s new compact mirrorless camera, the EOS M6, launched today adding to an already impressive line-up. Here are a few things you should know about. 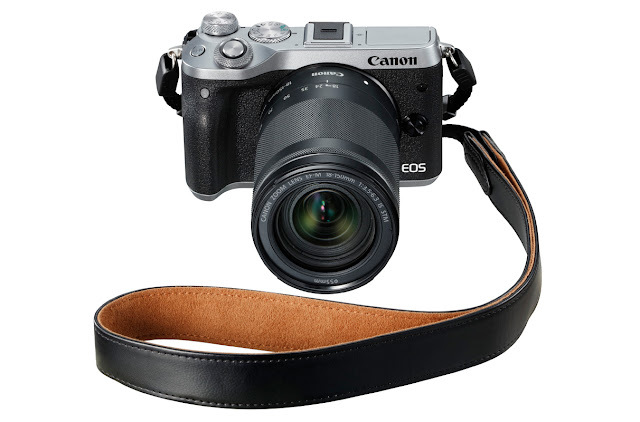 The Canon EOS M6 borrows a number of key features from its bigger brothers and sisters, including the same 24.2 megapixel APS-C sized CMOS sensor that you find in the EOS M5, EOS 800D and other high-end cameras. Additionally, Canon have packed their latest DIGIC 7 image processor into the M6, which means speed - lots of speed. 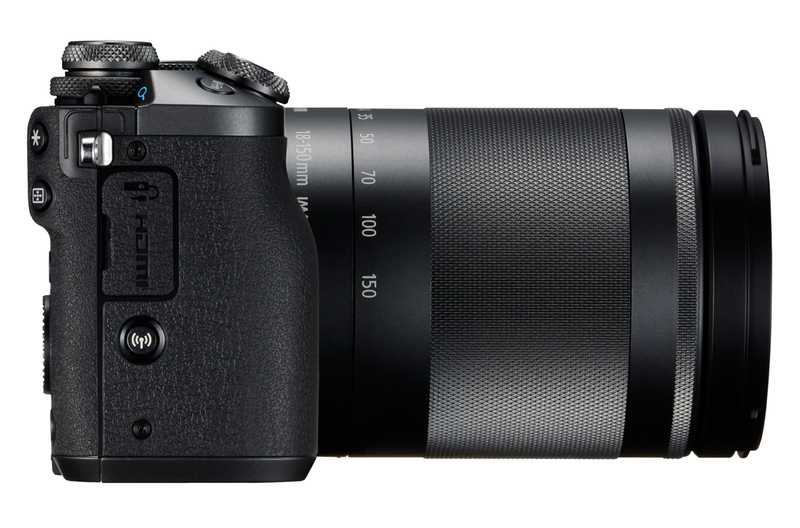 However, this DSLR-esque performance comes packaged in a super-compact mirrorless camera, more akin to its little brother, the EOS M3 than any of the DSLR’s it emulates. We first saw the Dual Pixel CMOS AF system in Canon’s flagship EOS 5D Mark IV. 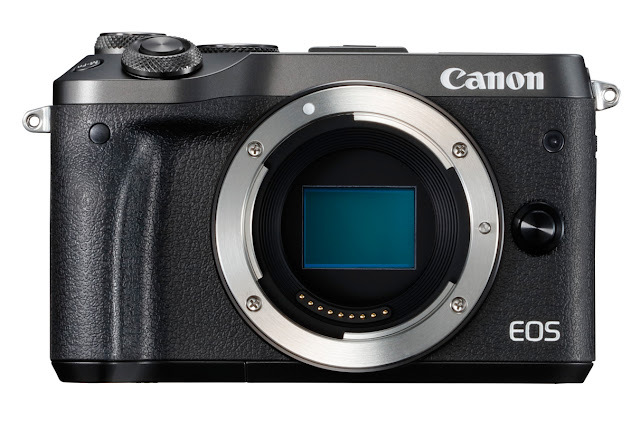 It’s now been packed into the EOS M6 - a compact mirrorless camera. This means that focusing for video and stills is super-quick, and it also means you can quickly track subjects across the screen with your finger. The M6 trumps all other Canon mirrorless cameras in the frame-rate department, sporting a whopping 9 frames per second of continuous shooting speed, beating the 7fps in the M5 and 4.2fps in the M3. Incorporating the speed of the DIGIC 7 processor also means the M6 starts up in an instant and rapidly responds to touches and commands, which makes it perfect for the go-anywhere, take-everywhere photographer. The Canon EOS M6 not only features gorgeous Full 1080p HD movie recording, but you’ll be able to capture incredibly stable and steady footage thanks to the 5-axis in-camera image stabilisation system that Canon have packed into the M6. 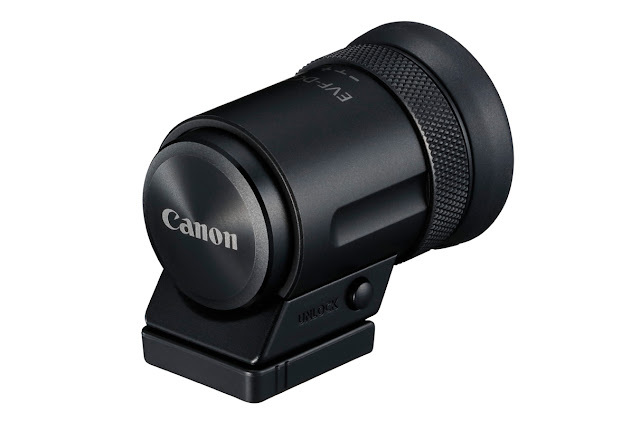 This 5-axis IS works with any Canon lens, whether it’s EF-M (mirrorless mount) or EF (full frame mount), which opens up endless opportunities to get really creative with your filmmaking, whether it’s for social media, websites, or for home TV. For everyday use, the EOS M6 is a mirrorless camera in a traditional compact body, with very little protrusions to break the sleek lines. However, there comes a time in every street photographers life, when looking through a viewfinder becomes necessary - you could be shooting at nighttime and not want to use a bright rear screen, or in bright sunshine when it's easier to look through an EVF, or you could be shooting a movie, or maybe you just prefer shooting through a viewfinder so you can see the entire image. For those occasions, the Canon EOS M6 is available with an optional electronic viewfinder (EVF-DC2), which comes in either silver or black to match the colour of your camera (or you can get a contrasting colour if you're the adventurous sort). 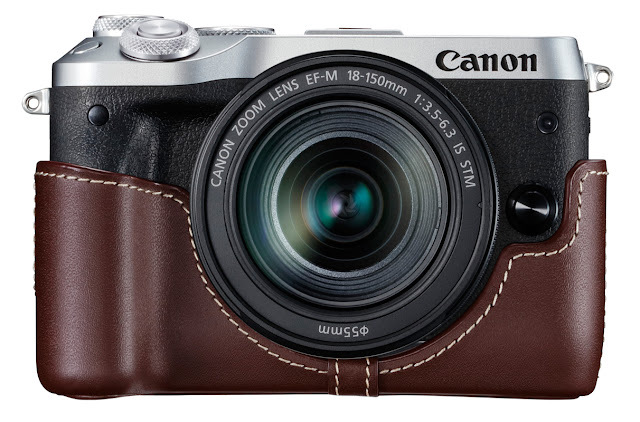 Back in 2012, Canon released the inaugural EOS M, their first foray into the mirrorless camera market. 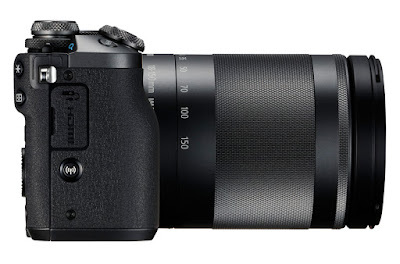 This was superseded by the EOS M2 in late 2013 (except in the UK), and subsequently the EOS M3 in February 2015 and the M10 in October 2015, followed by the EOS M5 in November 2016. These initial names (M, M2, M3) didn't follow Canon's usual camera naming conventions that the lower the number, the better the camera (i.e. 1D is best, then 5D, then 80D, then 700D). So in late 2016 when they released the M5, which is better than both the M3 and M10, we ended up with a line up that was EOS M5 > EOS M3 > EOS M10. In order to pave the way for further additions to the M mirrorless range, and a naming convention that follows the rules of their DSLR range, Canon have introduced the EOS M6 to sit above the M3 and M10, and below the M5 - which now gives us four mirrorless cameras that sit in a sensible, and logical, naming convention. Gone are the days of taking a roll of 36exp film into your local camera store and waiting 7-10 days to see your holiday snaps; and gone too are the days of having to wait until the end of the day to put your memory card (using a card reader, of course) into your PC or Mac and transfer all your photos to then be able to share online or send for printing. No, we're now in 2017 - which means the EOS M6 comes with always-on Low-Energy Bluetooth, Wi-Fi and NFC (for Android devices), so wherever you are, whenever you're shooting, you can transfer your images wirelessly from your camera directly to your smartphone or tablet. From there you can upload directly to social media, send to friends and family back home, or send them off for printing. Not only that, but with the Canon App, you can set your camera up on a tripod, table, in a tree, wherever - and use the app to control it remotely. The Canon EOS M6 is now available in Black or Silver for Pre-Order from Park Cameras. So that's a sensible, logical naming convention is it?